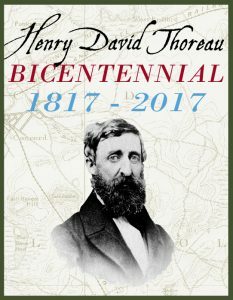 The Walden Woods Project was proud to participate in a wide variety of programs that honored Henry David Thoreau on the occasion of his bicentennial in 2017. The bicentennial of Thoreau’s birth offered the perfect opportunity to consider the myriad ways that Thoreau’s words and actions are still very relevant, having direct applicability to so many realms of 21st-Century life. Translating Thoreau: A Panel Discussion—five scholars shared their experiences with and motivations for translating Thoreau’s work into different languages. A return to the stage by Christopher Childs, who brought his one-man play “Clear Sky, Pure Light: An Evening with Henry David Thoreau” back to Concord for this special year.